Chicago will be in good hands with Rahm Emanuel at the helm. 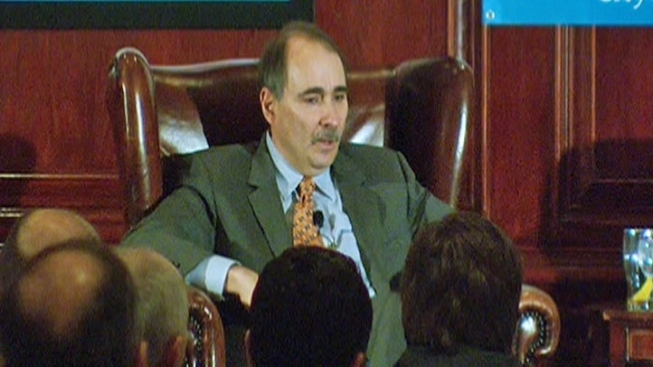 So said former White House senior adviser David Axelrod during a luncheon Thursday at the City Club of Chicago. "Rahm, he has a genius for government and he has a genius for politics, and I think that's going to serve him well. I've been really impressed with the way he's handled himself during the election and since the election, and I think we're going to be well-served by him," said Axelrod. Axelrod said Emanuel has the same drive as Daley, who he called one of the great mayors in the history of Chicago and the country. "You can see evidence of Daley's genius in his vision all over the city, but perhaps his greatest achievement that he should feel really good about, and he should celebrate, is what he did to put this city back together in 1989," he said. But, Axelrod said, there is a contrast to the two large personalities. Axelrod said Daley is actually a very shy person, despite his public persona. Emanuel isn't, he said, calling his former colleague's personality "ebullient" and "outgoing." Emanuel will be sworn in next month.